Log in to your AWS Console. 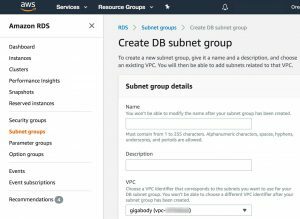 I named my new subnet group rds-subnet-1 and added all subnets related to the VPC into the group. b. 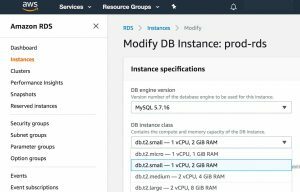 Modify your m3 instance. 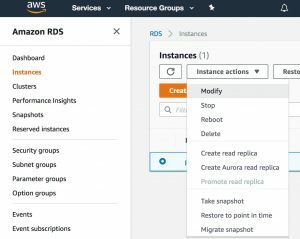 Select your RDS instance and choose Instance actions > Modify. select the new subnet you just created. Cannot create a publicly accessible DBInstance. the specified vpc does not support dns resolution dns hostnames or both. Resume modifying your m3 instance above. Monitor the status of your instance in the main Instances page, until it says “available” again and shows the updated t2.small instance size. Verify your database is accessible as before. Drop me a tweet @valer if this helped you!